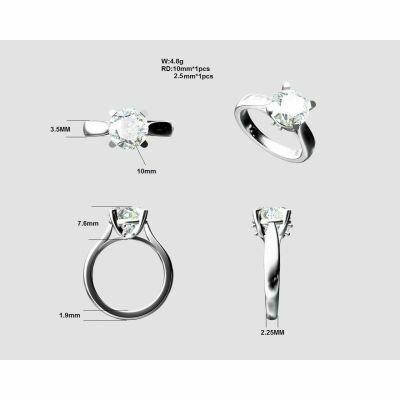 SWAROVSKI ZIRCONIA RING: This Cubic Zirconia rings sparkles with a 8.00mm Round cut Pure Brilliance Swarovski Zirconia, highest-quality cubic zirconia (cz). This stone in this cz engagement rings is the equivalent to 2carat diamond look. 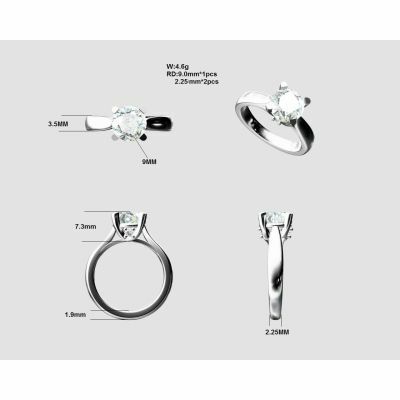 Platinum Plated Sterling Silver: Get a cubic zirconia engagement ring that she will love. 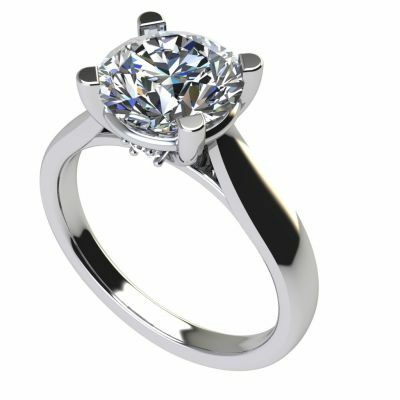 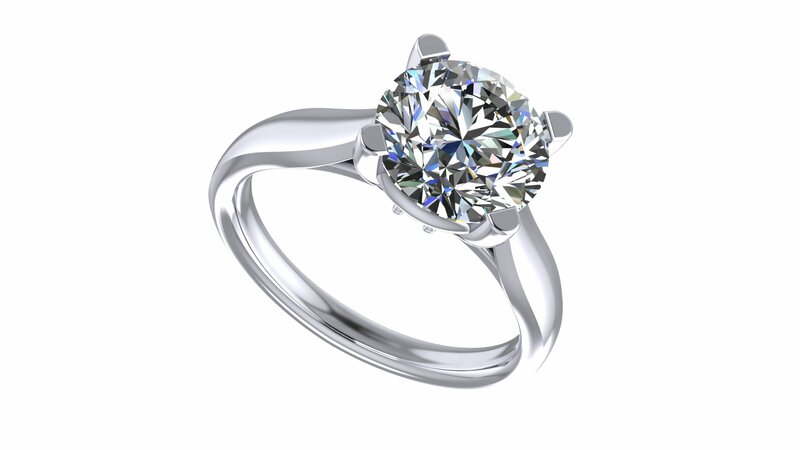 2 carat ring Round Cut Pure Brilliance Swarovski Zirconia engagement ring is simple. 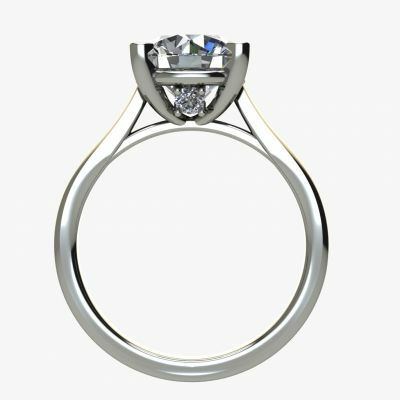 It looks exactly like gold and real diamond ring (this is a simulate diamond) Sterling silver & Platinum plating is hypoallergenic. 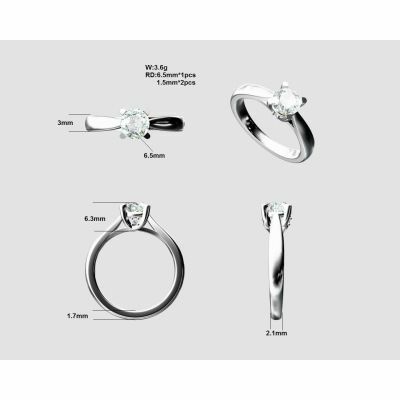 Choose cz solitaire ring and among the different finishes to find the perfect ring for your special someone. 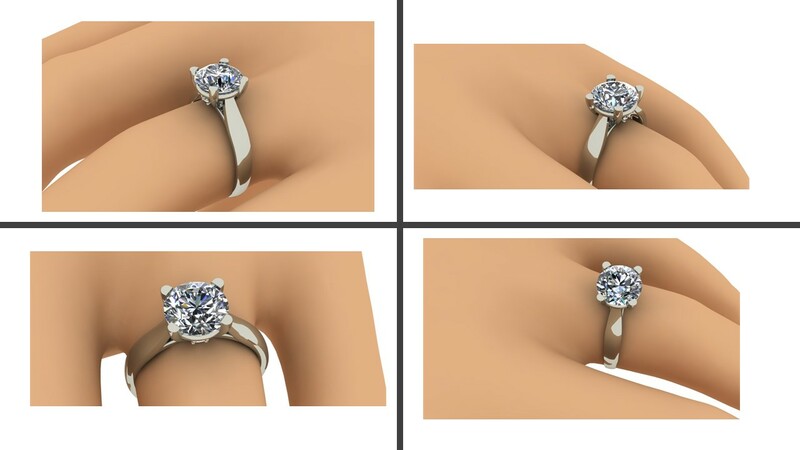 Cz rings for women are very popular. 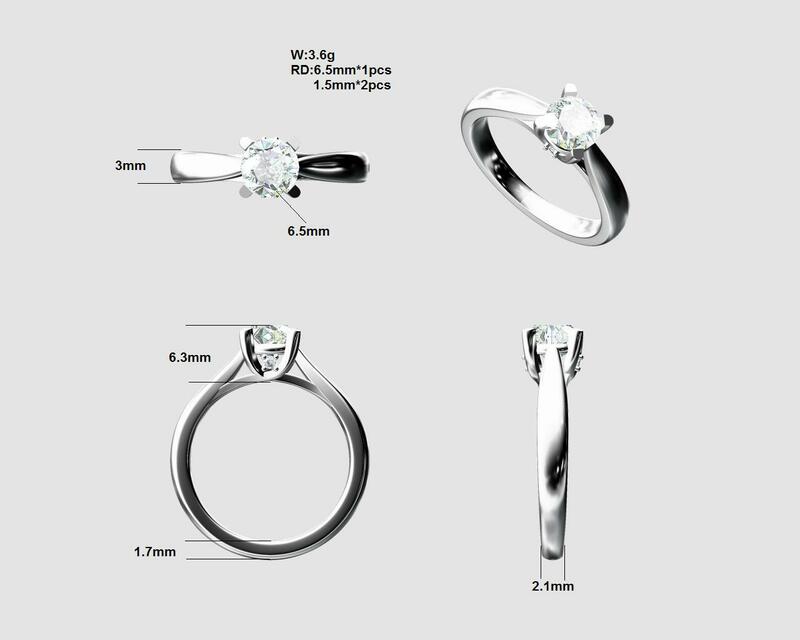 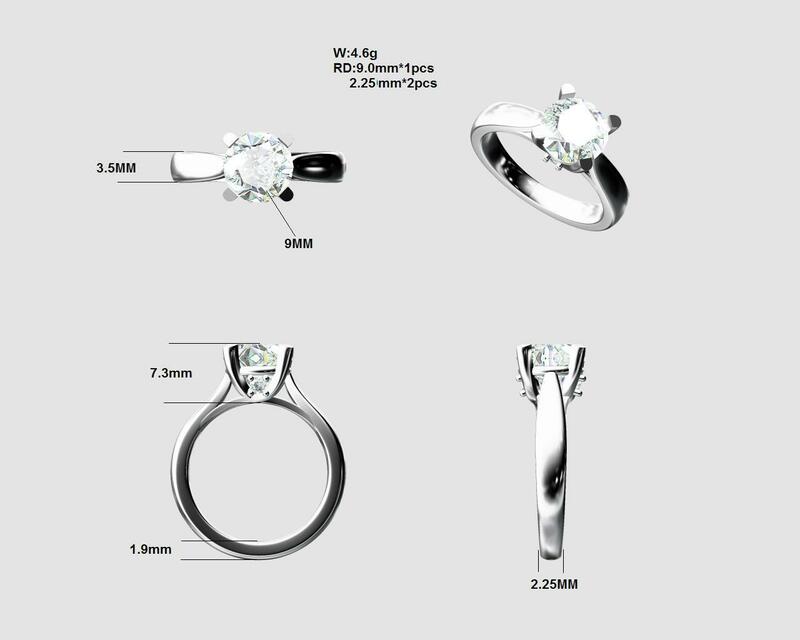 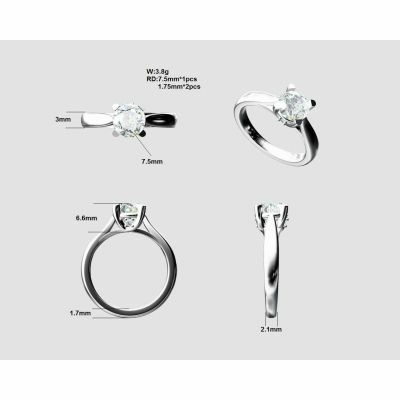 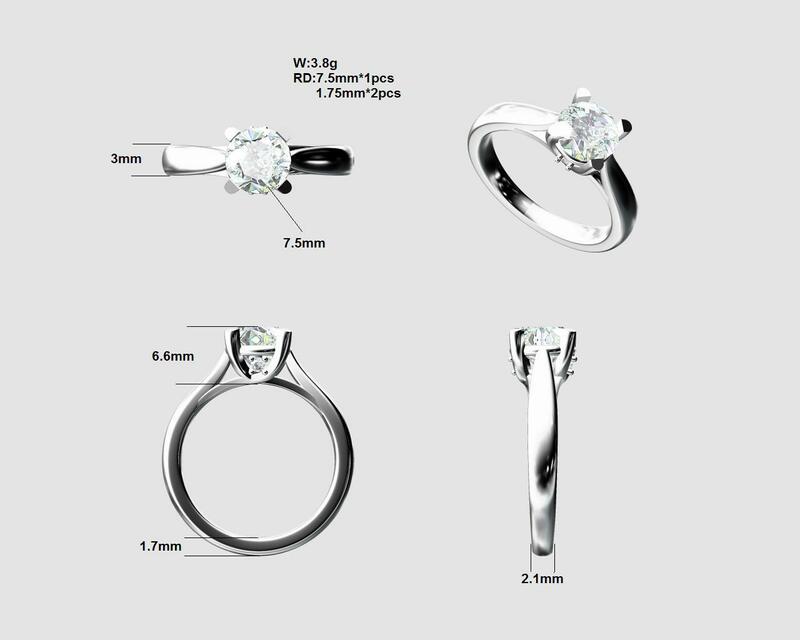 The 2 stones on the side range from 1.50 to 2.00mm each equivalent to one to three-point diamond look each. 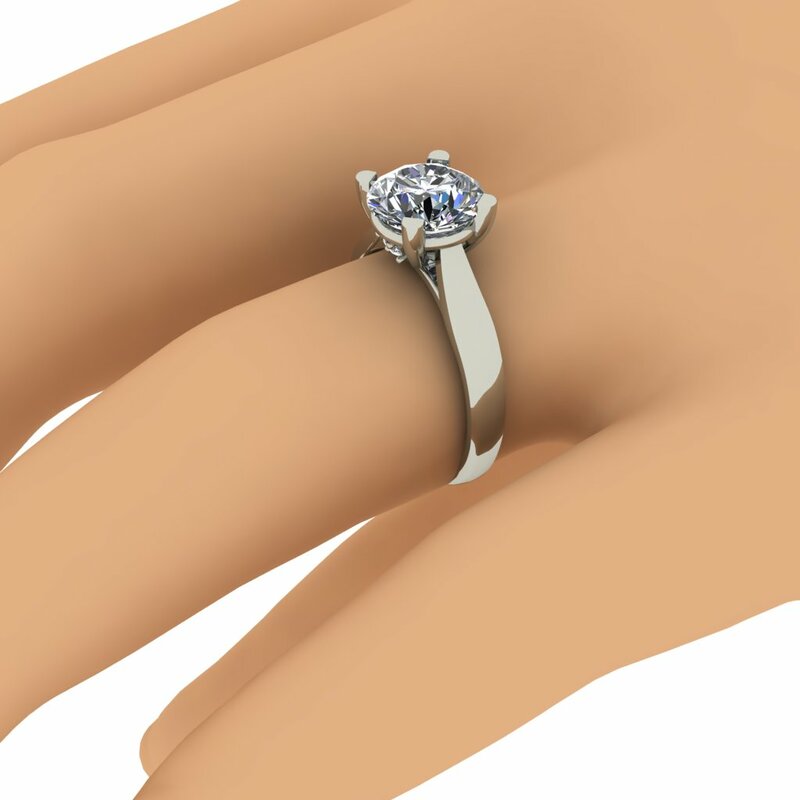 Available in finger size 5 to 9 USA including half sizes, but if you need it in a size smaller or larger, please contact us and we could resize it for you. 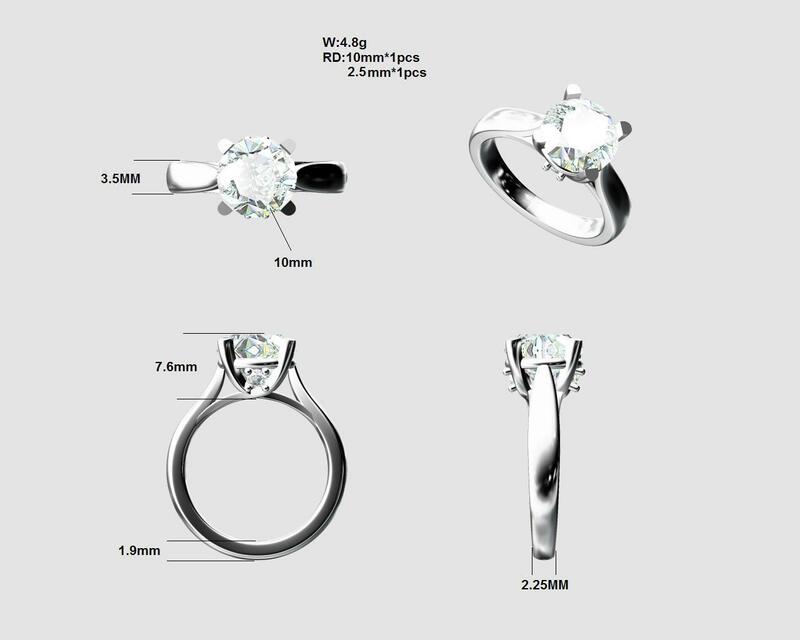 GREAT PRICE: NANA Jewels designed this engagement ring to look like a real diamond ring for a fraction of the price. 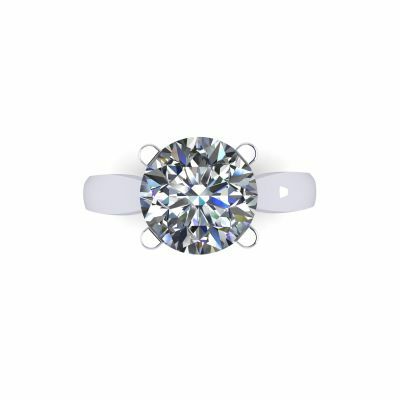 While Swarovski Zirconia is a fake diamond, it is the most diamond-like synthetic stone on the market. 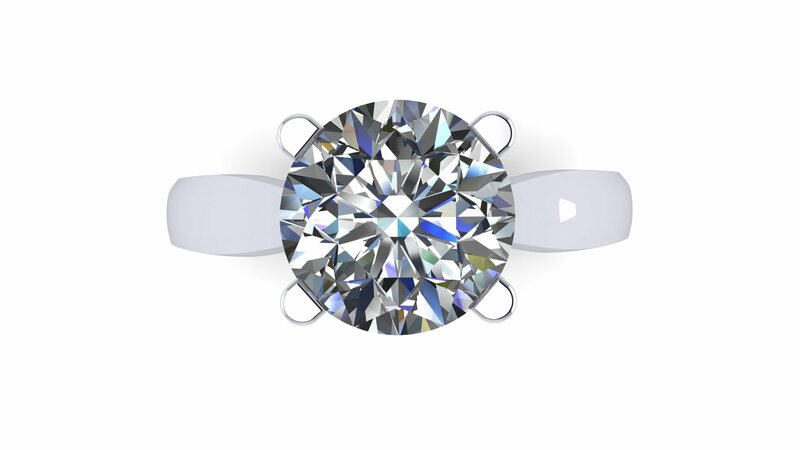 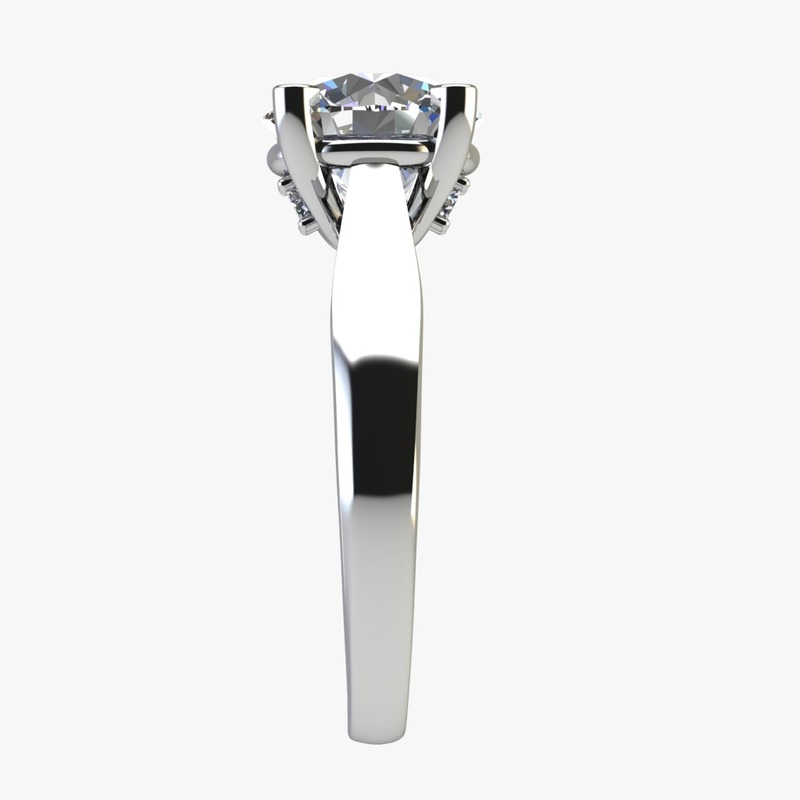 The solitaire top ideal cut truly shines like a diamond in this wedding ring or Annivarsary ring Alone or paired with another matching band in a wedding set, this solitaire cut simulated diamond band is stunning. 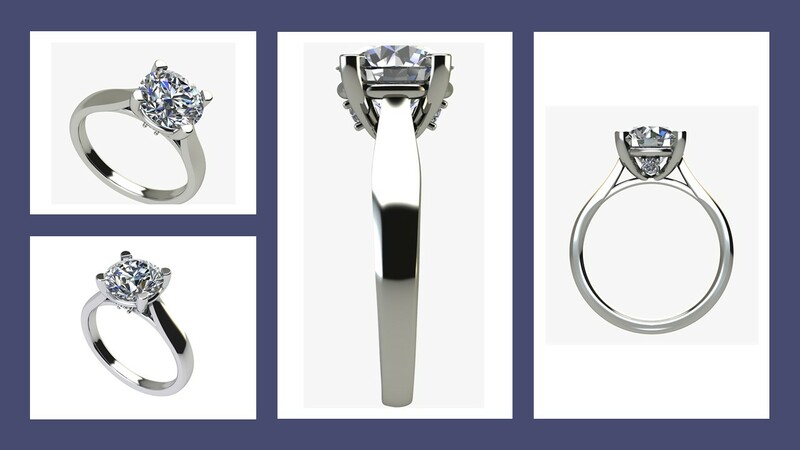 TIMELESS AND SIMPLE DESIGN: Engagement rings are meant to last a lifetime as a representation of your love and commitment. 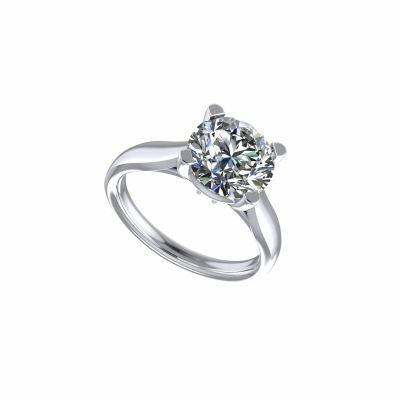 This timeless wedding ring features a round Solitaire Swarovski Zirconia stone surrounded by 1 accent stone on the shank to enhance its beauty. 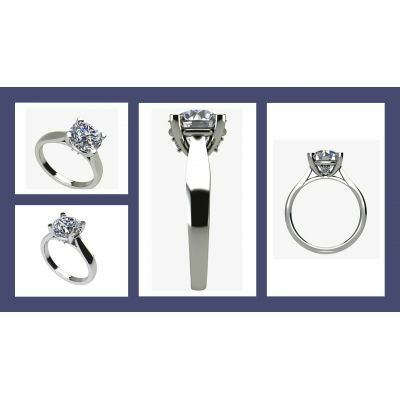 This ring is an easy choice for men looking for an engagement ring, if you are looking for classic solitaire engagement ring look. 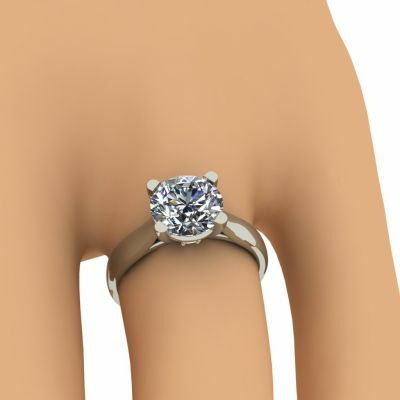 2 carat cubic zirconia ring,Look no more!